“Jill Wells, an official of Engineers Against Poverty, an advocacy group in Britain, described the guidelines issued by CH2M as commendable. But, she said, the company’s actions were unlikely to have much practical impact because construction companies passed responsibility for worker welfare down to subcontractors. 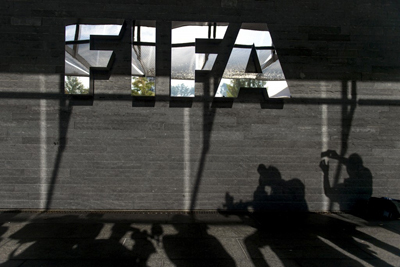 The New York Times reported last week that the 2014 DLA Piper report on the mistreatment of workers on the construction sites for the 2022 World Cup has resulted in few changes even though the FIFA scandal and the concerns of Qatar were thought to bring about major changes. This comes after over 1,200 deaths have been reported at those construction sites and labor camps. “While these laborers are not directly employed by the American companies, thousands of them work on projects the companies manage or oversee. As a result, American construction companies face labor issues similar to the ones confronting United States clothing or technology businesses that profit from cheap labor abroad, said Michael Pullen, a lawyer formerly with DLA Piper who headed the firm’s inquiry in Qatar." Sounds like a sub-sub contractor issue and is likely tied to the on-going controversy on bribery and kick-backs on those projects. We will track the hearings and continue to highlight articles and developments as they occur.